It’s our pleasure to visit your website and know that you are pride of online bathroom ware. So I think you might be interested in our attractive superior products (Wedge Wire Linear Floor Shower Drain) which sells like hot cakes in your local market. 1.100% flat and smooth surface. Any questions from you are welcome and will be replied in 24 hours. 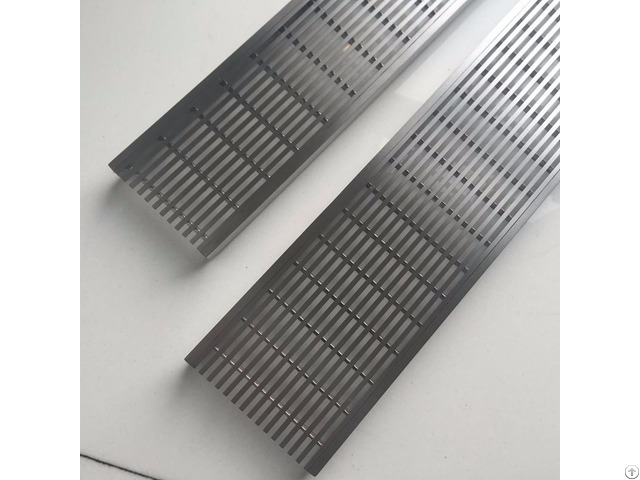 Business Description: Century Woven Corporation is a porfessional manufacturer and exporter in China, with more than 10 years experience in manufacturing and exporting stainless steel linear drain. Our linear drain has the advantages of surface, fast water draining, anti-odor, anti-clogging, easy to maintain and clean etc. Our linear drain products are highly and widely accepted by our customers around the world, such as USA, Australia, Canada, England, Germany, Italy, Poland, New Zealand etc. We have stock for linear drain with standard sizes, so you will get the goods on time when you need it urgently. Besides, we can also customize them according to customers' requirements very well. In Century Woven Corporation, we have our own R&D Department and Inspection Deparment, which can reduce the chance of defect and guarantee the high quality all the time.